Lisztonian Blog: Why a Steinway Model B? 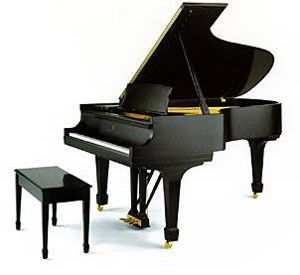 A Steinway piano will alter the way a pianist plays because it gives such a wide range of colors and dynamics that other pianos simply cannot provide. With a typical mass-produced piano I find myself fighting with the quirks and limits of the piano as I struggle to get the sound and expression that I am looking for. And, quite frankly, I can almost never get it. But when I play a Steinway it is as if the piano becomes a part of me; almost as if it were a living thing, it seems to predict and enhance what I am trying to express. It is almost as if the keys can sense exactly what my fingers are trying to tell it through just the slightest variation of touch; and it responds - magnificently. I'll leave the technical details up to James Barron to talk about. He does a wonderful job and if you read the book, you'll probably want to go out and buy a Steinway yourself... or at the least, you'll come out with an amplified appreciation for what a spectacular instrument it truly is.